is a Hindu, Jain and Sikh holy festival, celebrated on the Purnima (full moon) day or the fifteenth lunar day of Kartika (November–December). It is also known as Tripuri Poornima and Tripurari Poornima. It is sometimes called Deva-Diwali or Deva-Deepawali - the festival of lights of the gods. Tripuri Poornima or Tripurari Poornima derives its name from Tripurari - the foe of the demon Tripurasura. In some legends of Kartik Poornima, the term is used to denote the three demon sons of Tarakasur. Tripurari is an epithet of god Shiva. 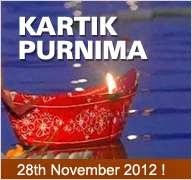 It is Kartik Purnima today, an auspicious day in Indian calendar. Centuries back the traders (Banik) from the east coast of India, primarily from Kalinga (present Orissa) used to take long journeys by sea routes to Sri Lanka (Singhal), Singapore (Singhpur), Bali, Java, Sumatra, Borneo, Cambodia (Khamboj) for business. Immediately after the SW monsoon, the North-west monsoon sets in favouring their voyage to South East Asian countries. The important ports then were Tamralipta (now in West Bengal), the mouth of the river Mahanadi and Kalinga Patnam (now in Andhra Pradesh). 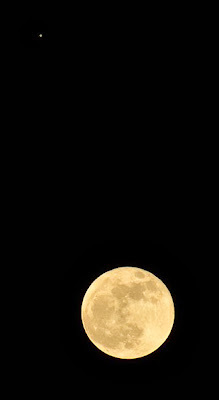 The auspicious day to start the journey was the fullmoon of Kartik (Oct-Nov). This is known as Bali Jatra in Orissa, meaning journey to Bali island. To commemorate this historical day, people of Orissa, specially the girls, sail paper boats with a small lamp in rivers, canals or even ponds. On this Bali Jatra day a great fair is arranged on the bank of river Mahanadi in Cuttack; near the ancient 9-floor fort known as Barabati. People besides sailing different types of fancy boats, go on boating in the moonlit night. Different variety of eateries are served. A large number of showrooms and shops are erected for this occasion. Thousands of people enjoy and do shopping during the entire night. This fair has great historical and political importance. In ancient times India had established a great friendship and trade contacts with our south east neighbours. Those were India's prosperous period. However, during the British rule such trade and relaships were snapped. Even after independence India looked towards west and did not revive this tradition. This was a pity, since we lost friendly contacts with these countries and could not push a healthy trade. It is worth noting that the Angkor Wat complex in Cambodia, contructed in 12th century by Suryavarman II in Hindu style under the influence of Kaling and Chola kings of Tamilnadu, underlines the bilateral relations of India with south asian countries. Angkor Wat adorns the national flag of Cambodia. The temple was first dedicated to Lord Vishnu, and later on Lord Buddha. It is one of the most architectural splendours of the world. Can we again revive our old contacts and gain goodwill among our neighbouring countries! We can, just by tuning to our hearts and sending prayers for connection...and like the adage goes, where the heart is, we are, aren't we? !